What is a Gorilla Entrepreneur? 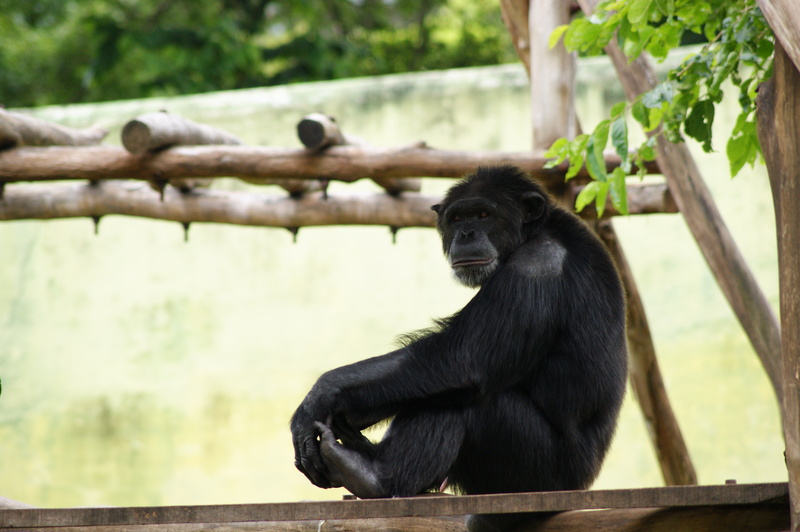 A Gorilla Entrepreneur is similar to, but different from, a Digital Nomad. To the business world what Ozzie Rules is to Football. They are a technophile who has managed to give themself location independence (as with a Digital Nomad), aiming to have creative streams of income, but not to be completely ‘locationless’. In fact, being permanently locationless can be a real pain, as I discovered in the last 6 months of 2012, and we all need a good base to work from occasionally. What if you are not interested in being entrepreneurial? (Requires effort and productivity from time to time). Perpetual transit is the ultimate goal of any nomad or vagabond. What you need is to learn how to survive on as little money as possible, and to earn your keep as you go. 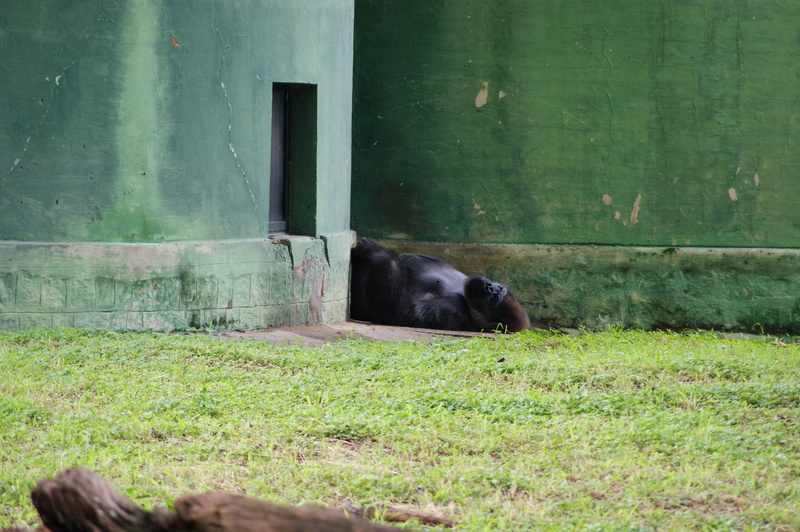 Here’s a photo of a big sad-looking Gorilla that I somewhat regrettably saw in Mysore Zoo, India, last summer. A few more pics of his fellow inmates are at the end of my post. 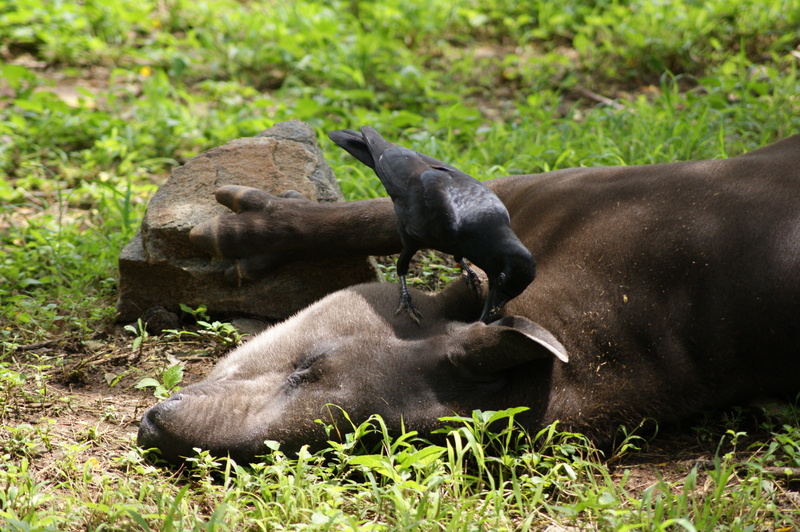 Poor chap, just lying in a corner of the enclosure, minding his own bizzy. There are lots of Gorilla Entrepreneur’s out there, like artists, DJs, writers, photographers, T-shirt moguls, IT contract workers! (To name just a few). Most would probably not label themself a Nomad, but the skills they use to earn a living aren’t confined to a single business, one particular office space, or even any country in particular. Lucky people! And now for a riveting link! This short clip from a NatGeo documentary that I saw a couple of years ago features a chief scientist who is almost literally a Gorilla Entrepreneur. Although technically he’s a Primate Scientist. It is incredible stuff and well worth a watch. 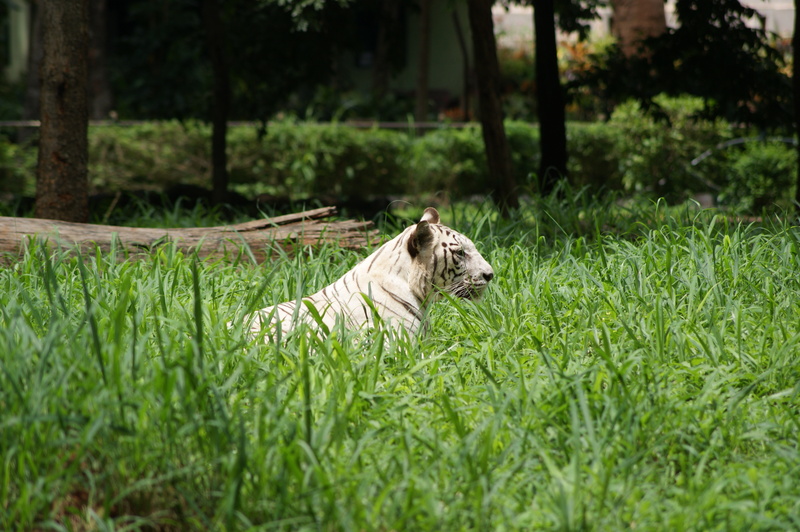 Some more shots of animals at Mysore Zoo. 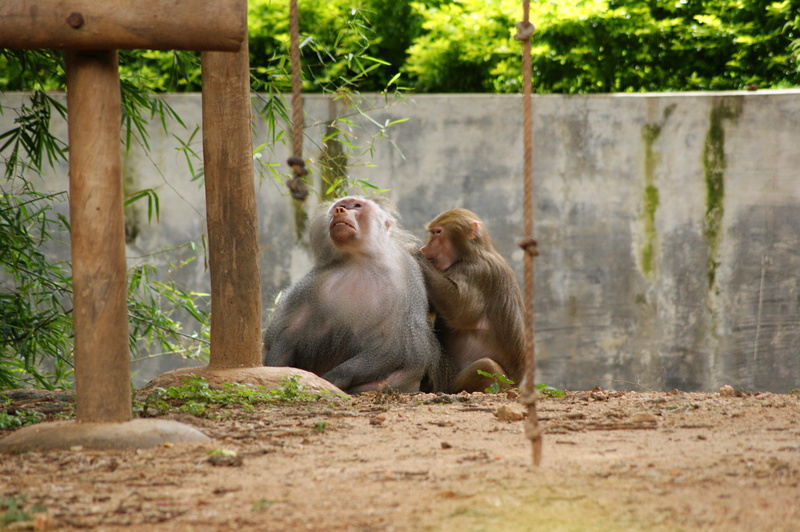 Baboon love. This one looked like Vic Reeves from the side. 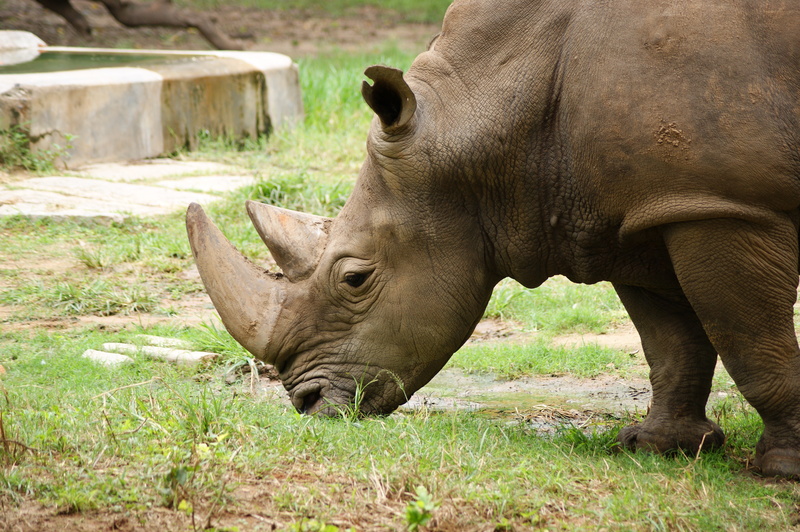 A massive White Rhino, so powerful but only fuelled by grass! 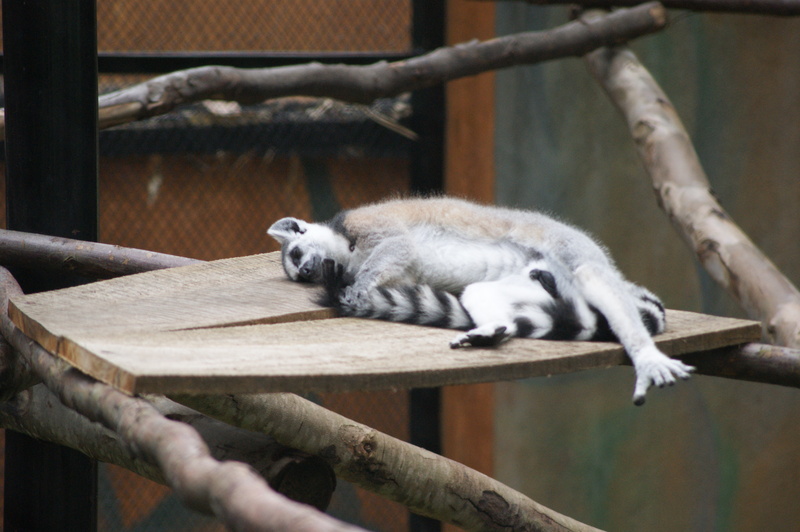 A ring-fenced ring-tailed Lemur, enjoying some rays.